Many of our favorite heroes display an astounding number of interesting superpowers. Some have that perfect knack, the ability to aim at objects no matter the distance, leap buildings, soar through the air. ... Invisible planes, sometimes. The one ability that many seem to replicate without any clear sign of where the power originates is access to what must be an extradimensional space. They always seem to have whatever they need right on hand even though they didn't just a second ago! 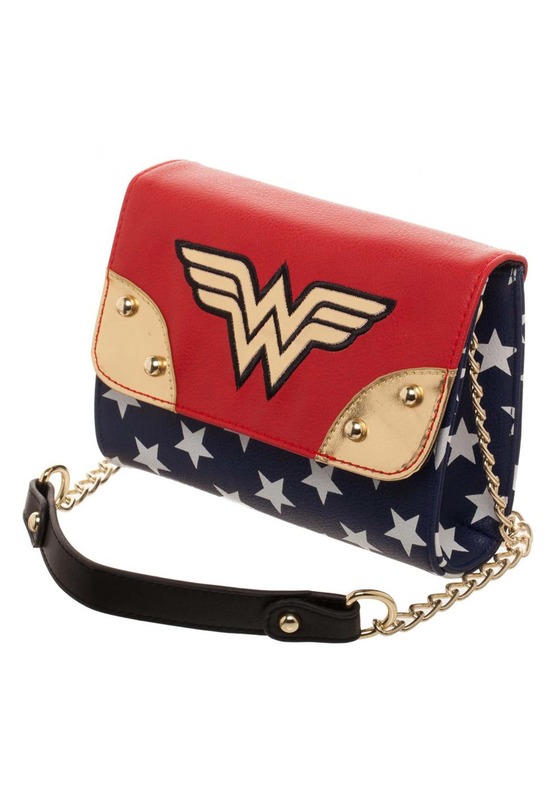 We can't offer quite the same invisible access to all your stuff, but we can help you hold it all in heroic style with this Wonder Woman Sidekick Handbag. This faux leather bag has a fabric lining, a metallic snap closure, and an inner zipped pocket. Its exterior is decorated in all the Wonder Woman symbols that you'd hope for from the iconic double-W and the star-spangled base. 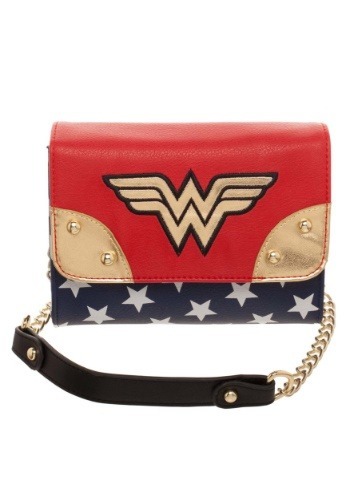 Get ready to leap to your day with your stuff safely stowed when you do so with this Wonder Woman Handbag at your side. 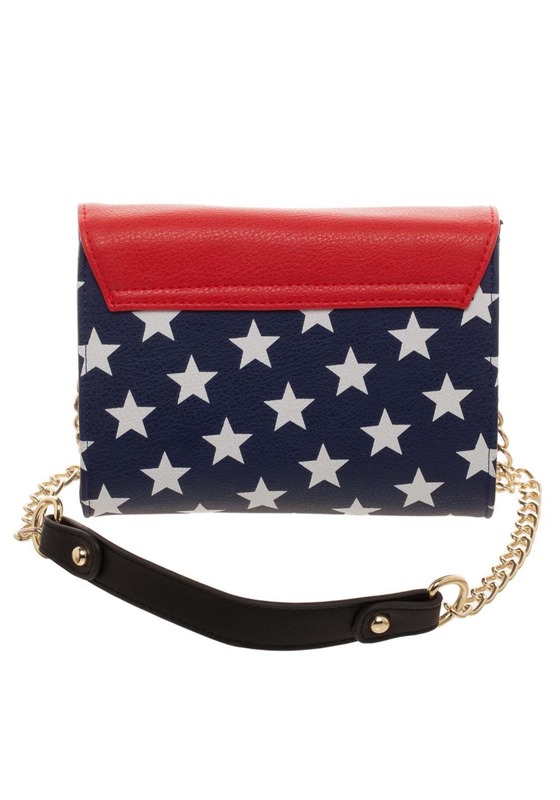 Not only can you access everything with a quick snap of your fingers but you'll have that star-spangled style to keep you feeling heroic, too!